Before Ole Kirk Christensen started making the LEGO blocks we all know and love today, he was first a wood-toy maker, then a die-cast and injection-molded plastic toy maker. In the 50s, LEGO produced a neat line of scale die-cast vehicles. 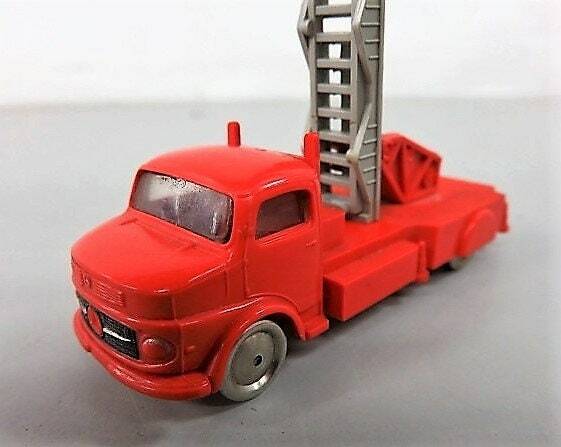 This l1:87 adder truck with dualies is in great shape, good glass, good wheels and chassis, and good color overall. Some play wear. Neat piece of more arcane toy history. We have a Mercedes 190 as well, also silver and red.